Based on this premise, our plant in Cd. 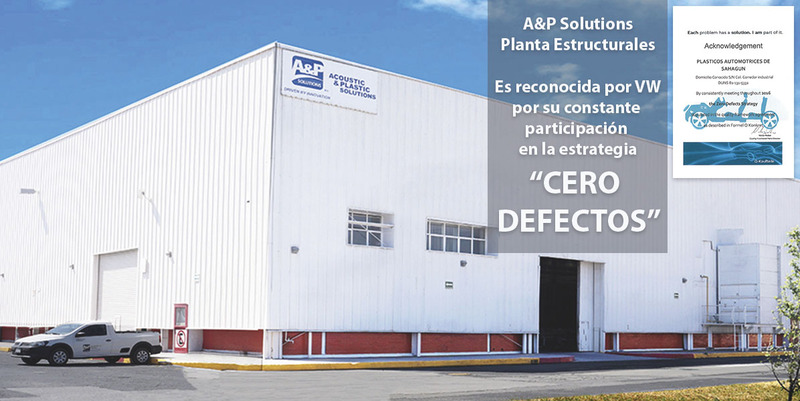 Sahagún, Hidalgo; has obtained the recognition of the OEM for having contributed with this strategy with 0 PPM's during a whole year, being the only company to obtain this recognition. With this type of recognition, we confirm our commitment to quality and service with our customers. Congratulations to the A&P Solutions Structurals team for this important achievement.